Sitting squarely atop the bucket lists of a number of travelers is the famed carnival of Brazil. Each year the four day event draws millions of people from all over the world to a variety of Brazilian cities such as Salvador da Bahia, Recife or, of course, Rio de Janeiro. The draw of carnival is obvious. 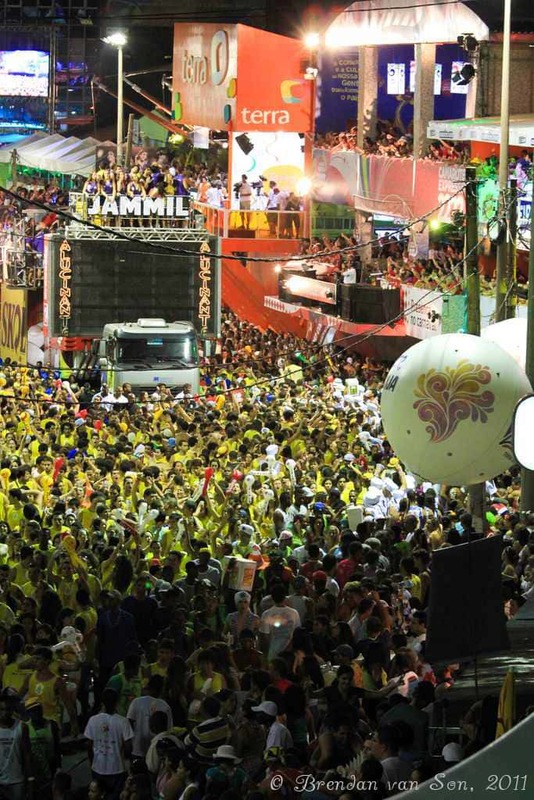 The rhythmic beats of samba wave through the air as the feet of thousands of revellers skip along at a fevered pace. People of all ages and backgrounds take to the streets to watch some of the world’s top acts entertain within a couple meters as their respective parades . All-in-all, Brazilian Carnival may be the greatest party on earth. The population of this great South American country swells exponentially during carnival – Salvador da Bahia alone attracts around 2 million people – but unfortunately, for those on strict budgets, so do the prices. Luckily, there are a number of different ways to intoxicate yourself in the experience without walking away broke. Planning ahead might not be as necessary as you might imagine. However, the earlier to you book the less stress you’ll have on the planning process. Many hostels book up as early as six months in advance. However, staying at a hostel doesn’t exactly mean cheap, prices can range anywhere from 60 US to 100 US dollars per night even if you sleep in a dorm bed. My advice, is to go onto one of the hostel booking websites and put a down payment on a bed. You’ll likely have to pay between 5 and 10 percent to do so, but regardless you’ll be covered for a place to stay if you can’t find anything else later on. Planning ahead is less of a budget concern than it is a stress reliever. There are always plenty of options for accommodation and entertainment available to the last minute, but in the end peace of mind is an invaluable sensation. Staying at a hostel is a great option, especially for solo travelers who have no one to join in on the festivities with, and to watch their backs. Staying at a hostel isn’t exactly cheap as the running price is generally around 70 dollars a night for a dorm bed. However, picking the right hostel will give you a great set of bonuses as well. 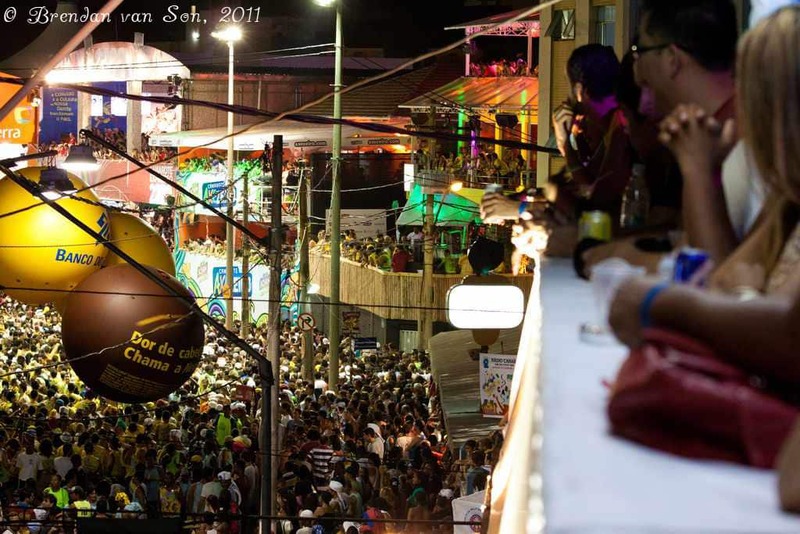 The Che Lagarto Hostel, in Salvador da Bahia, is directly on top of the parade route during carnival. Included in the price of staying at the hostel, guests have the rights to spend the time in their camarote, a right that costs about 40 dollars to non guests. As I will explain later, being in a camarote places you within meters of the carnival entertainers. Apartments are a great option, especially for people who are traveling in groups. Many Brazilians vacate their apartments during the week of carnival to rent them out for exuberant prices. The price of a 2 or 3 bedroom apartment within close walking distance of the parade routes in Salvador are between 1,000 and 3,000 dollars for the week (150 and 430 dollars a day). The price sounds like a lot at first glance, but if you can bring in others that price soon becomes a very good value. I met a group this year that met via a webpage on google that were 7 people in a 2 bedroom apartment. They decided to rotate nights for who had privilege to sleep in the bed, the hammock, the couch and the floor. They had paid 1,500 dollars for an apartment a stones throw away from carnival and in the end the only paid around 30 dollars a night each. Believe me, during carnival you don’t do a whole lot of sleeping, getting 4 hours of sleep on a hardwood floor might as well be a waterbed after 32 hours of straight samba dancing. Staying at a home of a local family is also a great option, and it is good way of putting money directly into the hands of the local economy. The only downside is that most of the homestays are a significant distance from the party districts. Money saved by staying at a homestay can easily be spent in taxi fares, although public transport is also available. Prices for a bed in a dorm at a homestay generally range between 20 and 40 dollars a night, private rooms between 30 and 50 dollars per person. Couch surfing isn’t as readily available as you might think, but is an option. If you’re hoping to couch surf for free you’ll need to plan well ahead, possibly as much as a year in advance. Some may offer you free stays, others might be looking for a little something in return. I met a group that had been asked to bring a laptop from Europe (since the prices are about 40% cheaper than in Brazil) in exchange for the rental of the apartment for the week. That being said, using the couch surfing website is a good way of finding both homestays and apartments for rent. Carnival is four or five days of wild partying. Throw in pre-carnival and you’ve got yourself a wild couple of weeks. There are few people who can well and truly go hard the entire time. A simple way of beating that system is by spiting carnival in half. The hostels, generally, have 7-day minimum stays during carnival, but that can be manoeuvred around by booking 4 or 5 days pre-carnival, or 4 or 5 days post carnival (while the prices are much lower) while only spending 2 or 3 nights during carnival. All of a sudden you are only spending 250-300 dollars for your accommodation instead of 500-600. So many people plan their carnival well before hand and have absolutely no idea what they are buying. People are told that they need to be buying entrance to the camarotes and the blocos to have a “true” carnival experience, but that is simply not the case. Are the camarotes and blocos fun? Absolutely. And if you have the funds they are worth taking part in at least once. If you don’t have the extra funds, have no fear, you can have plenty of fun “outside” the parties as well. Regardless, there is absolutely no need to pay for a camarote or bloco on each an every night. Quite simply, a camarote is a temporary night club meets parade grandstand. The camarotes put paying customers eye to eye with the moving parade and their performers. There are a lot benefits to paying to enter a camarote. At most food and drink is included in the price of a ticket. 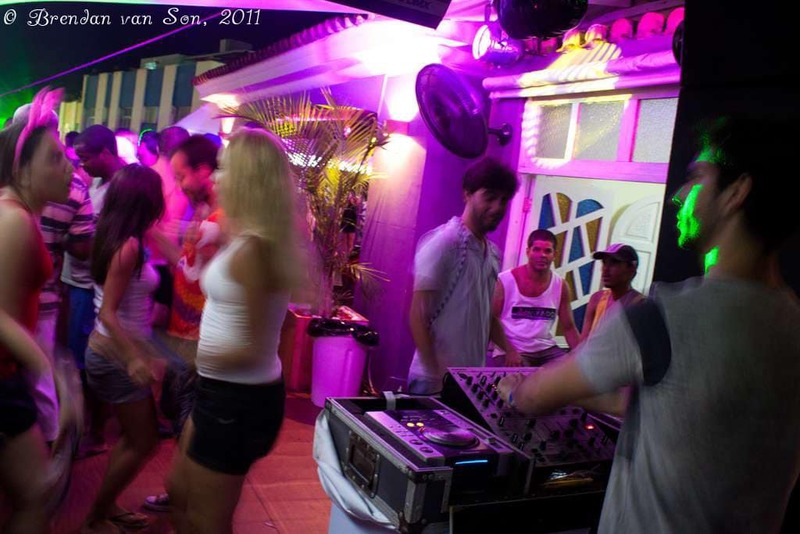 Moreover, it is here that the carnival post parties take place. Generally, one performer a night will end his or her parade route at a camarote to preform a somewhat private show. The camarotes, however, are costly as they generally range in price between 100 and 300 US dollars per night. That being said, if you have the money, and one of your favourite artists is preforming it is well worth it to splurge for one night. Blocos may be the strangest thing I have ever witnessed in my entire life. Essentially, as the floats wanders through the parade route carrying their particular entertainers a swarm of people follow alongside them wearing their identifying t-shirts. Around the edges are people carrying a rope protecting the sanctity of the bloco and making sure that no non-t-shirted people get it. It’s almost like a moving concert. Personally, I don’t understand the value, those outside the ropes can follow along if they would like as well. That being said, if you are a huge fan of a certain performer it might be in your interest to follow them around without having to push your way through the crowds on the outside. On the other hand, there also appears to be an enormous social segregating factor involved in the blocos (I have an article on this later on). Most spend between 50-150 dollars to join a bloco. Personally, I’d save my money. There are advantages and disadvantages to being outside the ropes of blocos and the camarotes. The advantages are that you will feel more free to roam, not worried that you are wasting your money on an event you are not fully participating in. Outside the ropes you have the freedom to follow a certain performer, or wait for the next one. And the best part, it doesn’t cost a penny. The beers outside the ropes will cost about a dollar each and a variety of other very cheap drinks are also available street side. The disadvantages relate to the conditions. Outside the ropes the area is much more crowded, pushy and without control. You’ll have to be on guard of your pockets as people make a living pushing through the crowds with their hands in the pockets of those silly enough to carry large amounts of cash. That being said, it is completely possible to have a great time outside of the ropes. In fact, personally I had a much better time outside the ropes than inside. Buying packages to the events is a great way to bundle the costs and get a deal on a number of events. These packages range from deals that offer you something for every single night to ones that offer you one camarote and one bloco entry. You can generally get very good deals by booking packages, around 40% off of the full price in some cases. However, be careful to make sure you are buying exactly what you want and are buying it from a reputable seller. Conclusions: How much do I need for Carnival? Of course, all people have different ideas of what makes a “budget”. For me, a carnival budget can be fit into three different categories, which are listed below. Want a private room every single night in an apartment and to join a bloco or enter a camarote every single night? Be prepared to spend about 1500$ for the week. Do you plan sharing a nearby apartment or sleep in a dorm, while only taking part in a couple of blocos or camarotes? Plan on spending about 900$ for the week. Want to spend the entirety of carnival outside of the ropes guzzling cheap beers and wadding through the crowds? Then you are my kind of traveler. Find a cheap homestay or a floor to sleep on and you can spend as little as between 300 and 500$ for the week. Awesome tips and pics!!! Can’t wait to experience this one day! photo essay coming up on friday!!! Wow. I think I could probably handle one night of this and then high tail it out of town! Although, I would like to be one of those people ON TOP of the truck in that one picture (rather then paying to be beside it). How fun would that be?? I am not one of those people that wants to deal with the crowds and drunk people at Carnival in Rio. But since I will never see it for myself, I enjoyed reading this summary of what actually goes on there. This year I experienced my first Carnival in a small town in the interior of Panama and had a great time with much fewer people. It is interesting to see how the traditions are different but still similar in each country. Where in Panama were you??? I love carnival in the smaller places. I did La Paz and Tena, Ecuador and they were brilliant. @Megan – Lucky you!! Are you heading to Rio or Salvador? Let me know if you need any help/advice. Great advice and I’ll be there on the cheap. 14 days in Rio–Wow!